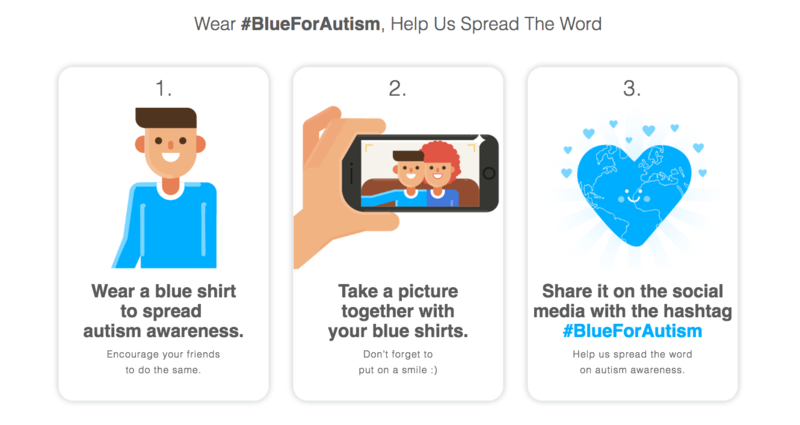 Why Should You Wear #BlueForAutism on World Autism Awareness Month? After all, the goal here is to get people start talking about, thinking about autism. Educating each other would help everyone taking part in it. Autism is a lifelong disorder. It will not go away, but it is what makes that person, that person. Today’s children with autism will become tomorrow’s adults, with autism. By raising more awareness, we have a better chance of helping them have a more comfortable and integrated life in society. Most people dealing with autism become overwhelmed and feel alone in this journey. With these types of awareness celebrations, loved ones will also feel part of a community and not feel alone at all. National and international landmarks bring out their blue lights for autism awareness. In fact, it started in 2008 with the Empire Building lighting up blue. This year was the tenth consecutive year that its lights turned blue. 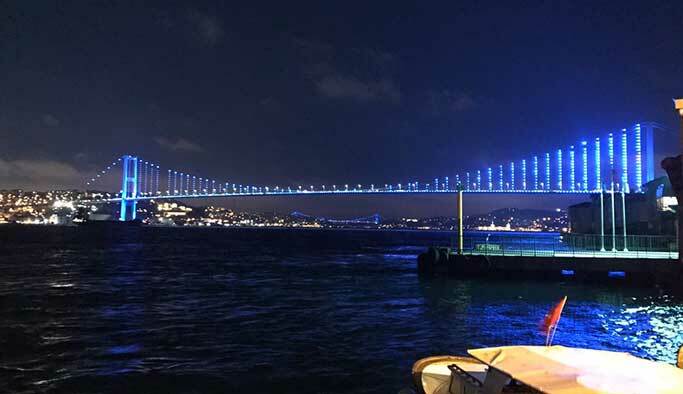 International landmarks like the Bosphorus Bridge in Istanbul. Every year, there are a lot of events and parades that you can join, both online and offline. You can search for local autism organizations to see if they are organizing anything. If not, why not start one yourself! At the end of the day, the purpose is to be together while spreading the word on blue. Besides all scientific reasons why blue is calming, most people feel that it somehow reduces stress. It catches the eye, starts a conversation and keeps one going. It looks good nevertheless. It’s always great to meet someone that understands you. These occasions are in fact perfect opportunities to find someone else who is on the same page with you. Get your blue shirt selfie on your social media and then see who you will meet next. Everything goes a long way when supported. With the awareness it gets, autism can also benefit from the research opportunities. Civil efforts can become legitimate. Therefore, by raising awareness, public officials can get in on the cause and lead the community to a better future with the power they have. Over 70 million individuals have autism worldwide and the number only goes up. With more awareness comes more educated society. Thus, the environment for individuals with autism become much more suitable for them to be themselves without compromise. !blueforautism.com What to do? -Check out Blue For Autism -Wear blue -Take a selfie -Share it on social media with the hashtag #BlueForAutism -Tell everyone what is up!